The tour exceeded my expectations. A good mix of anime and other experiences. Really well organised and enjoyable. 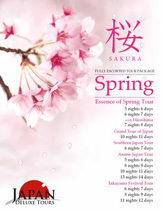 I would certainly recommend Japan Deluxe Tours to my friends. Well Done.